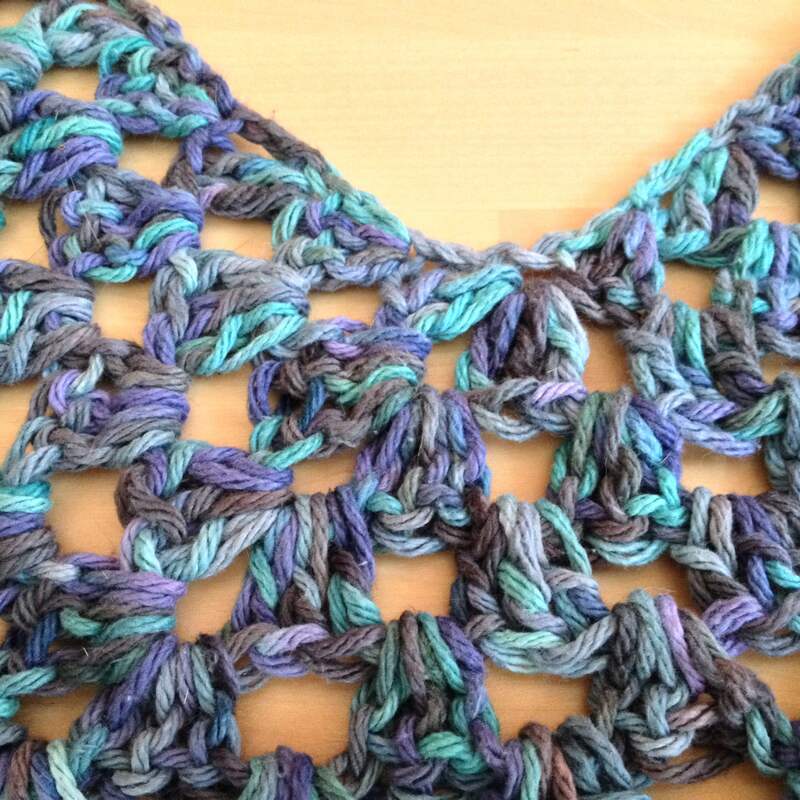 Made lots of crochet progress since last week, when I started this shawl on a whim! I found myself putting down the knitting and picking up the crochet instead! It goes so fast, it’s hard to ignore that fact! 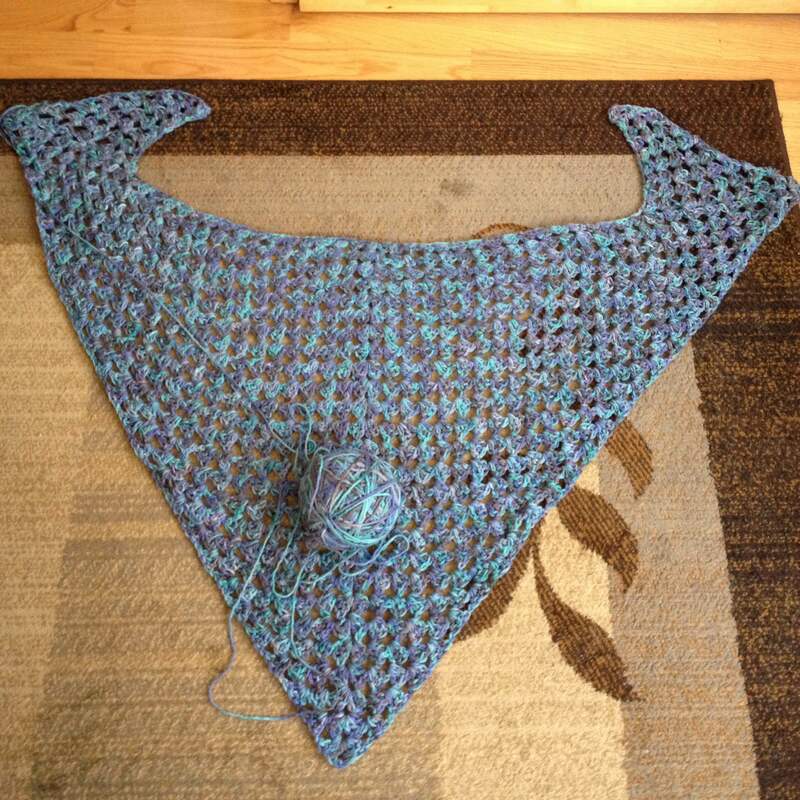 I was cruising along, when I decided I don’t want a straight triangle shawl. I thought about what I would do if I was knitting–I’d add a corner. I took a guess at how to do it–add a new 3 dc-2ch-3 dc cluster at each edge and carry on as if they’d always been there. And it worked! I’m sure this is a basic granny square manipulation but I’m tickled pink that I figured it out! I’m really having fun crocheting! I think some of those forgotten crochet patterns in my queue are going to get bumped up! Just a couple more rows and then something to dress up the edge, maybe a picot or a scallop row. 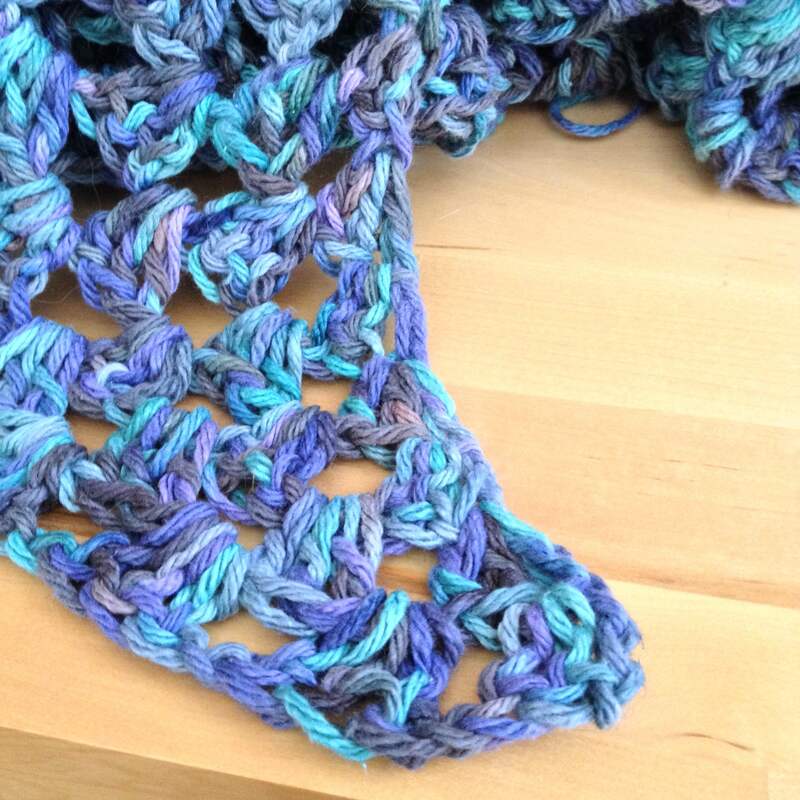 Anybody have a favorite crochet shawl edge I should look at? CottonCrochet is Fun!Hand Dyed YarnMom's YarnNo Knitting??? I think I’m just gonna make something up! 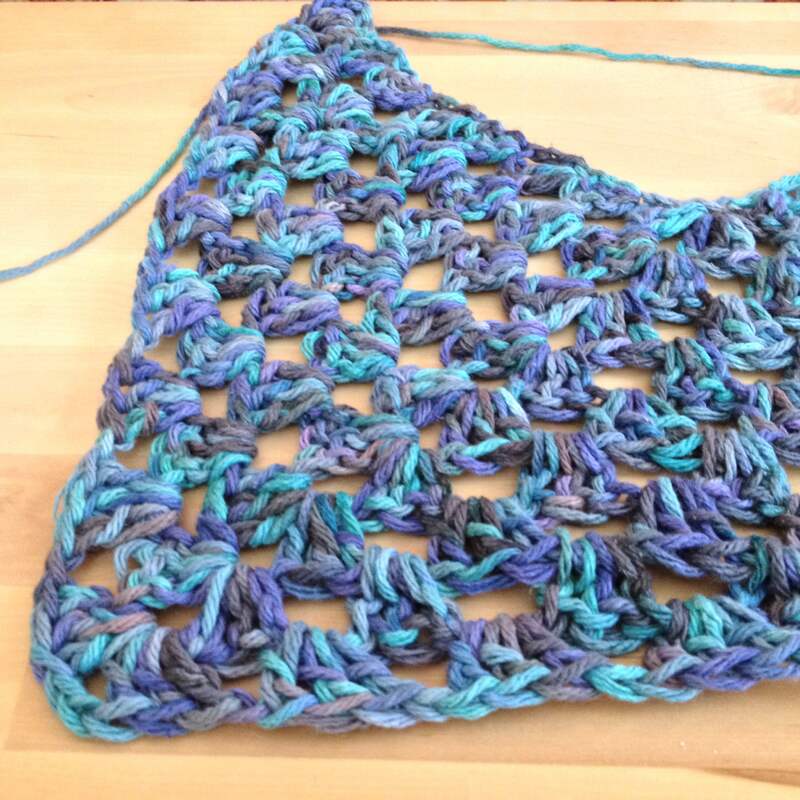 This is the fun of crochet, it’s very intuitive! Winging it usually works for me!